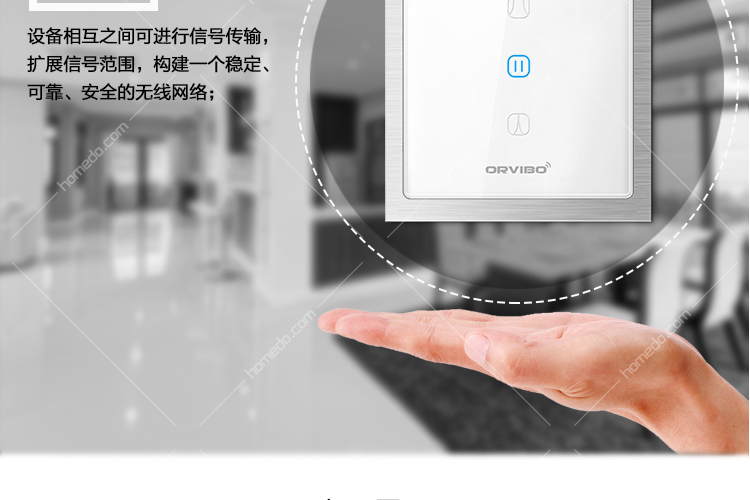 A key control to turn on/off the light by "HomeMate" APP and reduce a lot of trouble. 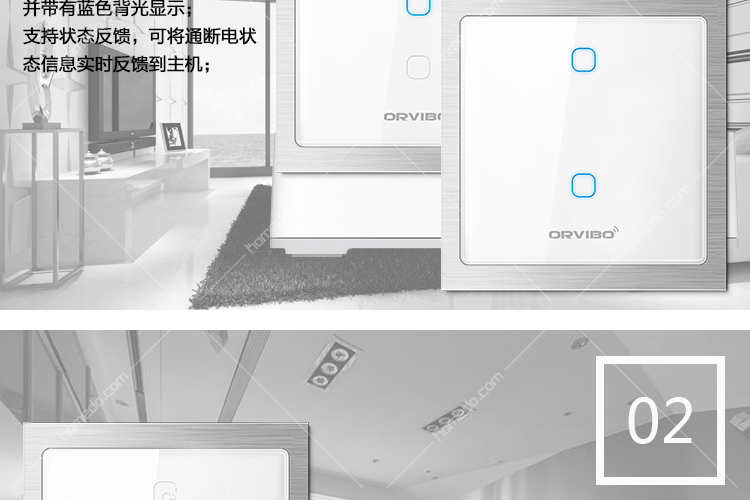 The HomeMate is the center of Orvibo's smart building technology. Your lighting can protect your house when you are away. And as you arrive home, everything is runing just as you like. 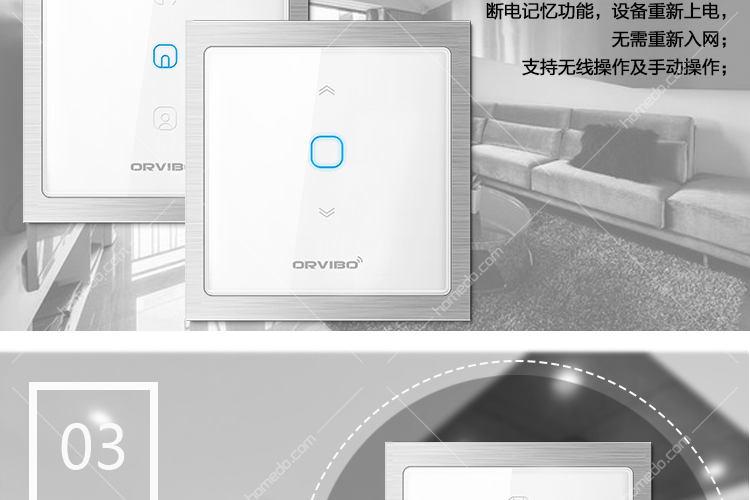 Three customize buttons can be customized to make any scenes, to control light switches, dimmer switches, curtains home appliances, etc. 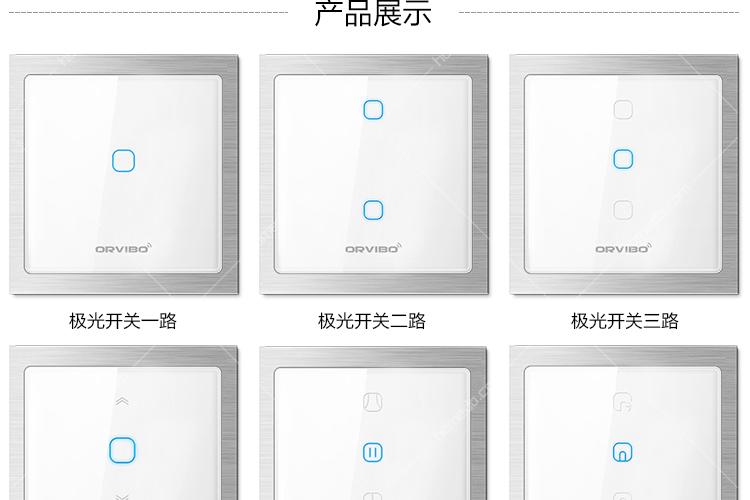 Highly sensitive capacitive Glass touch panel with blue backlighting. Touch control and APP control. 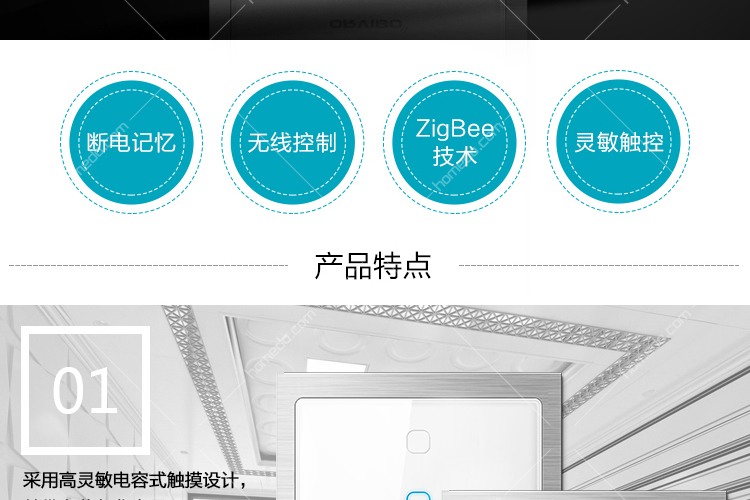 Zigbee HA protocol; automatic Zigbee networking; no need to pair codes. Support status feedback; the Zigbee gateway gets power status feedback in real time. 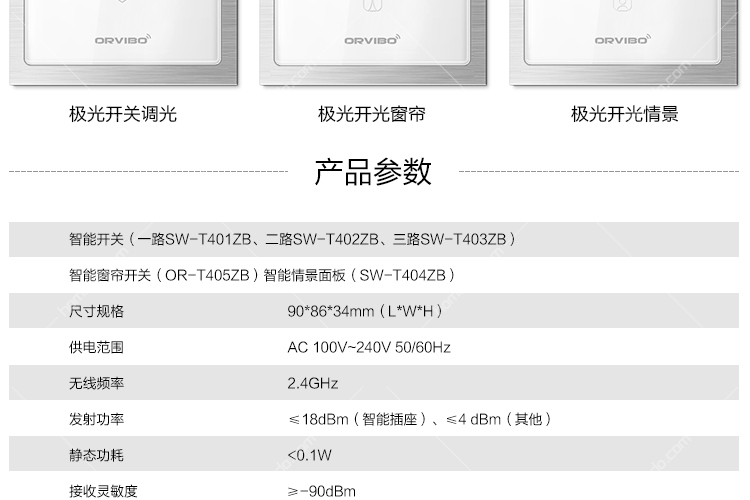 Memory store when power off; Devices do not need to access to Zigbee network again after power-on. 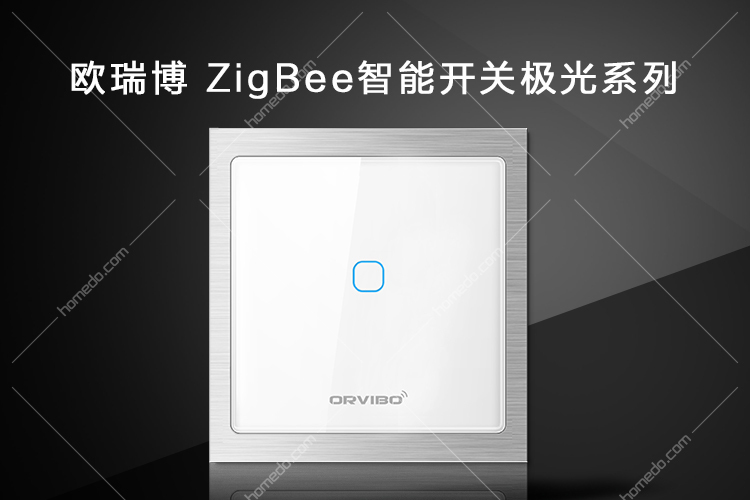 Every Zigbee device can work as a relay to communicate with other devices and extend signal range, as a result, to build a stable, reliable and secure wireless Zigbee network.